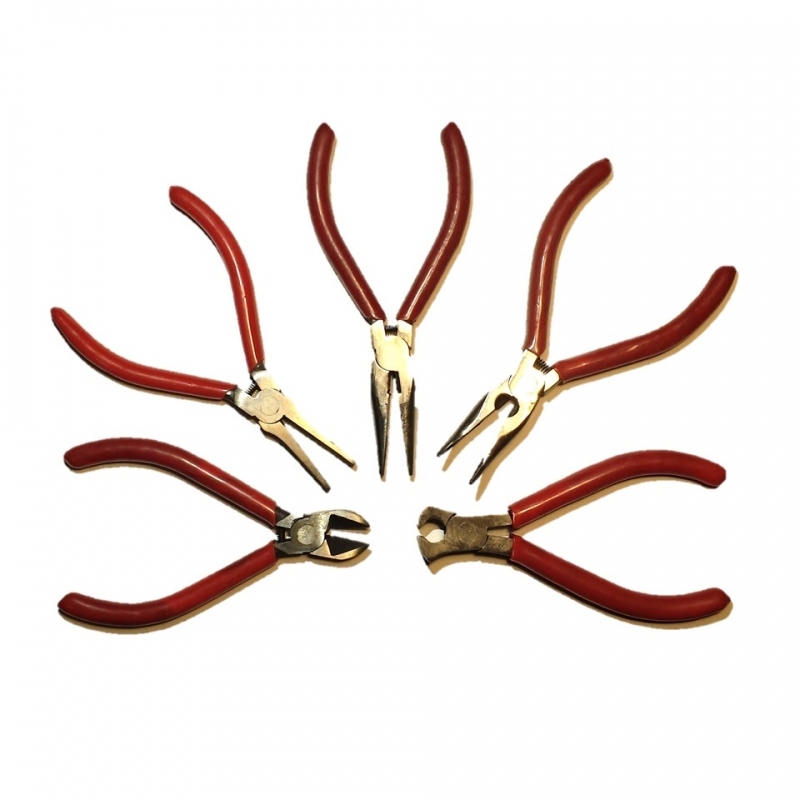 A set of 5 mini pliers, each 4.5" in size, includes one each of: Side Cutter, Needle Nose, Bent Nose, Flush Cutter, and Long Nose Linesman. Great for getting into tight spaces. 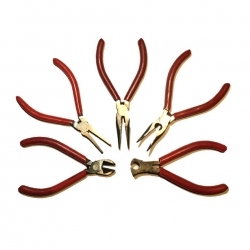 Features soft rubber handles and drop-forged steel construction.